This investigation is under construction. For more Materials and Activities, click View More in the dark purple tab above. You are a Greek/Athenian soldier preparing for battle at Marathon. Write a first person journal entry that includes what you are thinking, feeling and planning as you prepare to do battle at Marathon. 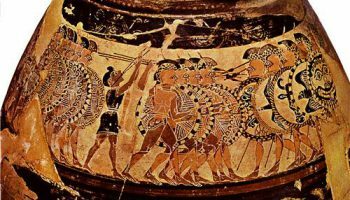 As you write, refer to the oath, images of Greek soldiers, and to all our evidence of the Greeks’ opponent (Darius). 1. Think about everything you, as a Greek/Athenian soldier, want to say about what you are thinking, feeling, and planning as you prepare for battle at Marathon. 2. Cite at least three pieces of evidence that inspire the thoughts and feelings you want to share in your journal. 3. Write your journal. When you think you are finished, make sure you’ve used evidence at least three different times! The battle is over. You are the same soldier from your first journal entry and have survived. Please describe, in a first person journal entry, your thoughts and feelings after the battle of Marathon and how your side (the Greeks) did against the barbarians (the Persians). 1. 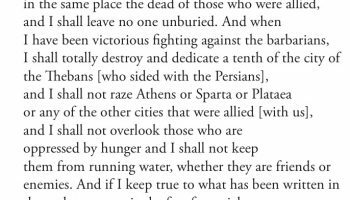 Think about everything you, as a Greek/Athenian soldier, want to say about your thoughts and feelings after the Battle of Marathon. 2. Re-read all the other directions above. 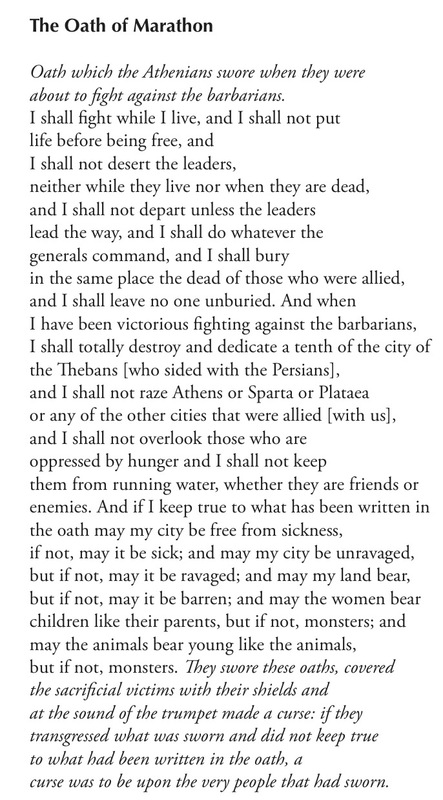 The Oath of Marathon: Peter M. Krentz, “The Oath of Marathon, not Plataia?” Hesperia: The Journal of the American School of Classical Studies at Athens 76:4 (Oct. – Dec. 2007), pp. 731-742. 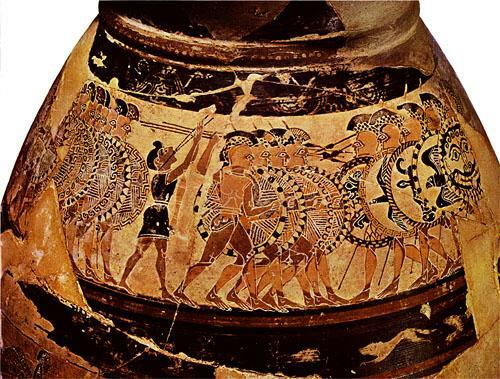 | VIEW PDF at the American School of Classical Studies at Athens (see the Greek and English text on pp. 733-734, “The Acharnoi Oath”). Copyright © 2010 - 2019 Critical Explorers, Inc. All Rights Reserved.